1 million aging adults live in assisted living homes. Many older individuals resist the change of moving to an assisted living home because they feel as though they are losing their independence. But there are many benefits that make moving to an assisted living home a positive step for both your parents and you. They can receive the help they need, and you can rest easy knowing your parents have the support they need at all hours of the day and night. Here are some signs to look for that indicate it might be time for your parents to move into an assisted living home. Each year, there are 3 million fall-related emergencies in the United States. Often, these happen with older individuals. As we age, the risk of falling increases. This is especially the case if your parent has declining balance, an injury, or other mobility issues. But your parent doesn’t need to necessarily have underlying health issues to fall. Elderly people can accidentally fall while doing something as simple as getting the paper in the morning. When a younger person slips and falls it may result in an injury that can heal relatively quickly. But for older adults, especially those with osteoporosis, an accidental fall can result in broken bones or even death. 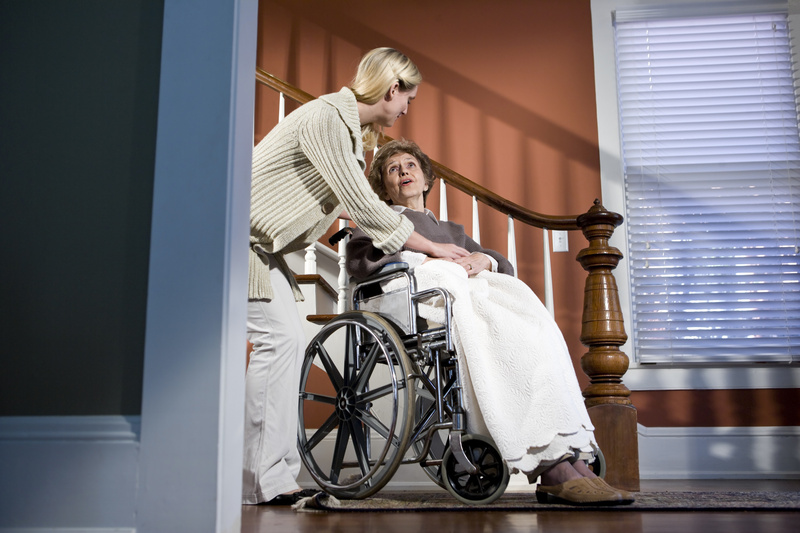 In some cases, when an elderly person falls he or she may not be able to get up without assistance. If he or she lives alone or with an elderly spouse who is not able to help, this could present a very serious problem. If your parent lives alone and has been falling more often, it may be time to think about moving him or her to assisted living. Injuries aside, as your parents begin to age there may come a time when it is no longer safe for him or her to live at home. This is especially the case if they live alone. For some, it is no longer safe due to their frail nature or diminished capacity. Tasks like cleaning, bathing and cooking can be very risky due to diminished hearing, eyesite, sense of smell or sense of balance. If they live somewhere where they are able to have someone help with these tasks it will improve their safety and well-being. The onset of dementia and Alzheimer’s can also result in safety issues. They may have trouble remembering next steps in basic tasks. Preparing meals, doing household tasks, and getting out and about can become difficult or even dangerous. Dementia and Alzheimer’s, as well as declining physical health, can also present a problem during an emergency. If a fire, tornado, or other natural disaster occurred and your parents could not get to safety in a reasonable amount of time, assisted living should be considered. In addition to Alzheimer’s and dementia presenting a safety issue, it can also present day-to-day issues. These can include your parents forgetting to do necessary tasks like paying the bills, following through with appointments, and making proper meals for themselves. While these aren’t necessarily safety issues, they are cues that it might be time to consider assisted living. Caregiver burnout is a real thing. As you care for your parents, your other responsibilities continue including work, school, taking care of your own children and taking care of your own health. For many caregivers, eventually it becomes impossible to balance all of their responsibilities with caring for parents. Hiring someone to come in and help your parents may help for a while, but as their needs increase this may not be enough. Recognizing your limits is important for ensuring your parents’ safety and well-being. Seeking assisted living is often the next logical step. Many people are reticent to move into assisted living because they think it means they’ve given up. In reality, it’s a way of making the most of a person’s capacities. In other words, it is helpful if you and your family look at assisted living as a good thing. It’s a way to ensure your loved one has the support and assistance they need to for their safety and well-being, so that they can carry on with their important relationships and interests in life. For more information on our residential care homes, contact us today.